As a dismounted patrol of U.S. soldiers from A Battery, 1st Battalion, 84th Field Artillery Regiment, 170th Infantry Brigade Combat Team walks through the village of Chil Gazy; Staff Sgt. Jordan Cruz provides security. 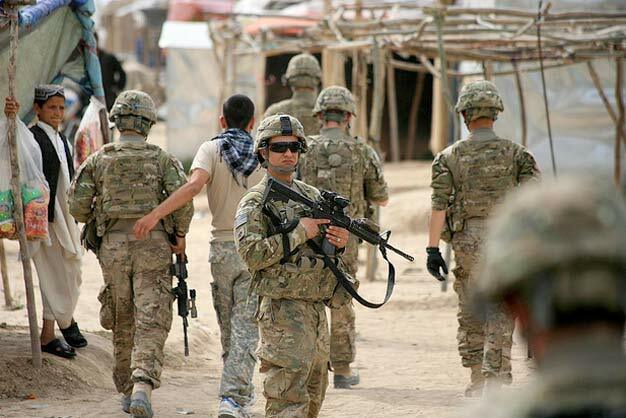 Afghans in the village voiced their opinions to International Security Assistance Forces troops during their visit in an effort to improve the security situation in the village and throughout the area. Photo via US Army.